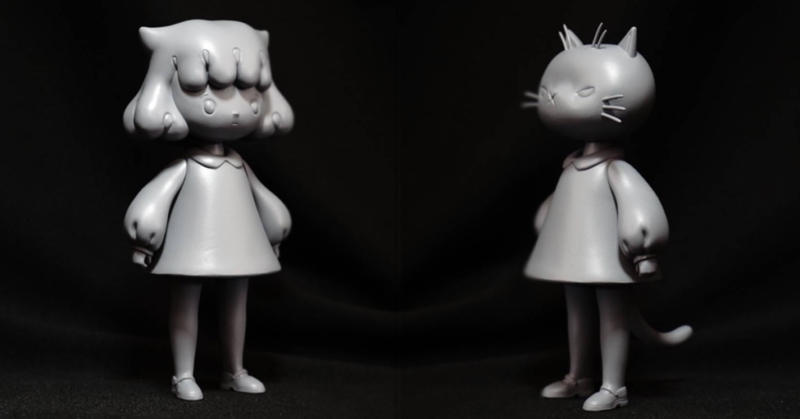 From the mind of Unsleepman in Thailand comes a new resin girl/cat duo to add to your Designer Toy collections. Meet Mio & Kuroo! Due for a mid-February release, Unsleepman will provide us with more details once they are known. Currently in the prototype phase, Unsleepman started the original character design in 2016 and inspired from his lost cat. In 2018, he began to develop both characters for an Art Toy release. The concept is that Unsleepman believes that we all have childishness in ourselves, and good or bad children they are the same, just children.